The Spanish Society of Prosthodontic and Aesthetic Dentistry SEPES, is a non-profit scientific association that brings together dentistry professionals dedicated mainly to the areas of prosthetics and dental aesthetics. SEPES was born in 1970 and is currently one of the most important and prestigious national scientific societies in the field of Odontology. The mission of SEPES is to represent all dentistry professionals who perform or collaborate in prosthetic or restorative treatments. Encourage multidisciplinary meetings maintaining and strengthening scientific relations with other national and international organizations within the scope of our profession. To be a meeting point between professionals to expand their training and update their knowledge. Public dissemination of the general aspects of oral and concrete health of the prosthesis and its maintenance. The dissemination and scientific update in the field of oral and maxillofacial prostheses. Defend and respect the rights of members and ensure strict compliance with the ethical and conduct standards of the members of the Society. Constant relationship with the industry of the sector in order to bring the latest technological advances to dentists and laboratory technicians. SEPES has as a priority the training, especially of students and young dentists who want to orient their profession towards the area of prosthesis. IFED's mission is to contribute to the progress and development of education in Esthetic dentistry worldwide. We're committed to providing support and enhancing the exchange of information across all borders as well as communication between all member organizations to promote esthetic oral health. In this respect IFED is a non-profit organisation, meaning that no financial gain will be apportioned to the individual subscribers of member Academies / Societies nor to the governing officers of the IFED Executive Council. To encourage countries to establish an academy of esthetic dentistry along IFED guidelines. 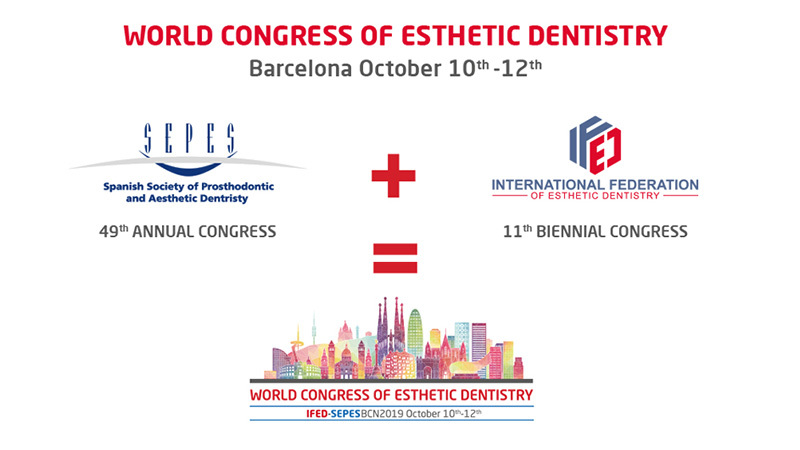 To help coordinate and publicize both world and national meetings on esthetic dentistry. To assist member and forming chapters in producing the best meetings possible including assistance in obtaining speakers. c/ Rey Francisco, 14-5º Dcha.